This Parador, surrounded by pine trees, is set in large gardens facing the ocean with the long sandy Mazagon beach in front. The Parador is named after Christopher Columbus (Cristobal Colon) who lived in the area for part of his life. As well as the beach, there is the surrounding Donana Nature reserve to keep visitors occupied during their stay. The restaurant serves international food but specialises in the dishes of this Atlantic Coast of Southern Spain. Fish dishes feature strongly on the menu and in particular locally caught shell fish, particularly shrimps, prawns and cockles. From the mountains inland come the cured hams of Jabugo and Iberian pates. The chef particularly recommends the main courses containing the excellent local pork. The restaurant has a special menu for those on a gluten free diet. A visit to the city of Huelva allows you to look at the churches of San Pedro, La Concepcion, La Merced, together with the Sanctuary of Nuestra Senora de la Cinta. Another place of interest is the Monastery of La Rabida at Palos de la Frontera. A Franciscan monk at this convent listened to Columbus telling him of his dream of discovering an alternative route to India. The monk persuaded him to apply to the king for support. Fra. Juan must have been a very enlightened man for, at that time, the church considered the the earth was flat and Columbus would fall of the edge. The port of Palos de la Frontera has now silted up and it is difficult to imagine the fleet of three ships setting off from here on their epic voyage, leading to the discovery of America. Prior to the voyage, the edict of the king ordering conscription of local sailors and the construction of three caravels was read by the mayor in the main square of the town. Visit also the village of Moguer where the Spanish poet Juan Ramon Jimenez got his inspiration to write his masterpiece, known in English as ”Platero and me”. The gardens of the Mazagon Parador are splendid with the swimming pool on the cliffs with a path with 170 steps leading down to the beach below. There is a playground area for children. The bedrooms are spacious with terraces and beautiful views over the calm waters of this coast. The scene is of yachts passing and, on the horizon, the ships making their way to and from the busy straits of Gibraltar. The reception will arrange for a trip in the National Park in one of the park's vehicles. This half day tour will take you for about eighty kilometres looking at the many birds that are in this area. It is particularly interesting during the spring and autumn migrations when the tired birds are resting before or after crossing the sea into Africa. The Parador of Mazagon has fifty three twin bedded rooms, nine rooms with a double bed and a suite. All the rooms have a private bathroom. All bedrooms have a telephone, satellite television, safe, and a mini bar. In Parador Mazagon there is air conditioning, central heating, currency exchange, parking facilities (without security and limited places), satellite television and gift shop. 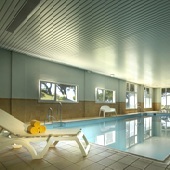 There is jacuzzi, sauna and heated swimming pool, gymnasium, tennis court, garden, children's play area and restaurant. and bar. There are facilities to hold business meetings. Distance from the nearest airport is approximately 125 kms and the nearest train station is 24 kms away. My wife and I spent a lovely week here in September this year and would recommend it it anyone. The location is stunning, the room was superb (with a terrace overlooking the gardens and pool for reading and sunbathing). The staff were welcoming and always friendly and helpful. It's a place for a very relaxing holiday though there is plenty to do if you like cycling (bikes for hire at reception), walking (either along the sandy tracks of the national park or along the fabulous beach which stretched for miles). We didn't eat at the restaurant as the late start was a bit too late into the evening for us. We used the snack bar instead which has some lovely dishes. One disappointment here though, some of the dishes were sometimes not available and one day it was closed completely for a time when it was supposed to be open. The highlight of the week was a four hour drive in four wheel drive vehicles in the Coto Donana National Park (which can be booked from the parador) which takes you along the beach, then over miles of dunes and then to the River Guadalquivir delta with a very informative driver/guide. The animal and bird life was fantastic. Thanks again for a great week. Die Lage ist herrlich. Servicepersonal im Restaurant und an der Bar schlecht. Küche ungenießbar und überteuert. Habe zum Abendessen ein Solomillo de Terano Rosa a la Parilla con Pimientos de Padrón bestellt, und habe eine vertrocknete Kalbshaxe hingeknallt bekommen. Wir sind am nächsten Tag abgereist. Nie wieder, in jeder Kneipe in Spanien kann man besser essen. We held our daughter's wedding at the Parador de Mazagon this summer, and would like to send our special thanks to Rafael and the staff for arranging a magical event for us. The location of the hotel is perfect, the gardens delightful, and the staff are endlessly patient and helpful. 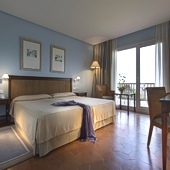 The rooms are large and comfortable with big balconies overlooking the delightful gardens, pool area and the sea. A perfect location for a perfect event. Again, our sincere thanks. As usual the Parador hotels are excellent and the staff are also very good and attentive to your needs. Rooms are excellent and we had a sea view. Easy car ride into Huelva which has good night life and restaurants. many local places of interest and a day trip to San Antonio also recommended. Having stayed in many Parador Hotels throughout Spain we were not disappointed. 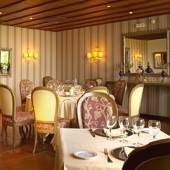 Parador de Mazagon is a hotel near Huelva Spain. In a nature reserve and near the beach.